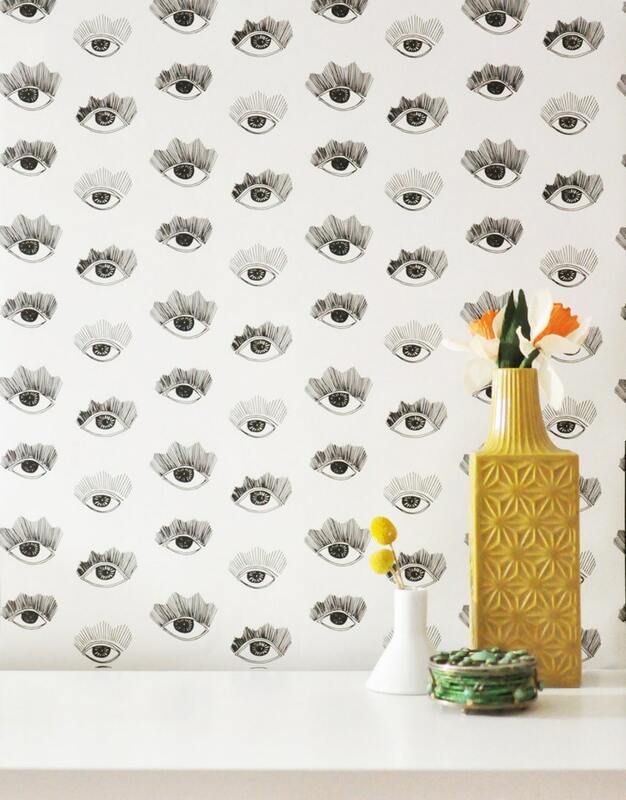 The 'Bright Eyes' print is a dynamite wallpaper! 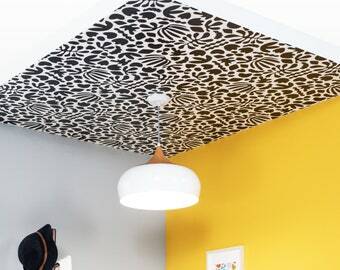 Easy to apply, this removable material is perfect for rental homes. 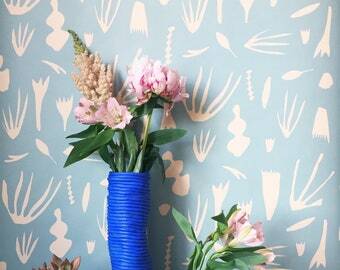 Spice up a room or just line the shelves, this wallpaper is EVERYTHING! If installed properly this covering will last up to 20 years! Removes easily when ready to de-install and can be recycled. 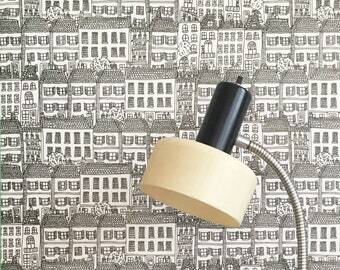 Love this wallpaper! Looks great in my display cases, thanks! I mean, how legit is this?? So good. Love this paper. I like the samples that I received and think that the colors are true to those displayed. My only suggestion is to make the samples a little larger for some of the pieces. Mine were different sizes and a couple were difficult to really envision. Method of payment is PayPal, direct pay with credit card, or you may also use an ETSY gift card. If your order is damaged please contact us immediately with photos of the damage. We will send you a return label to send the items back to us and we will replace your order as quickly as we can. Shipping cost varies per product and per country. We are happy to provide an estimate before you make a purchase if you don't feel the estimated pricing is correct.